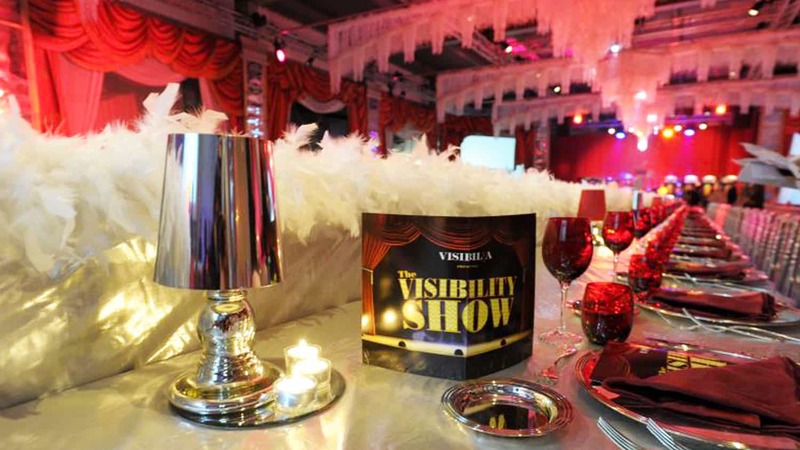 A corporate dinner and show for Visibilia Pubblicità. The theme of the night was Cabaret. 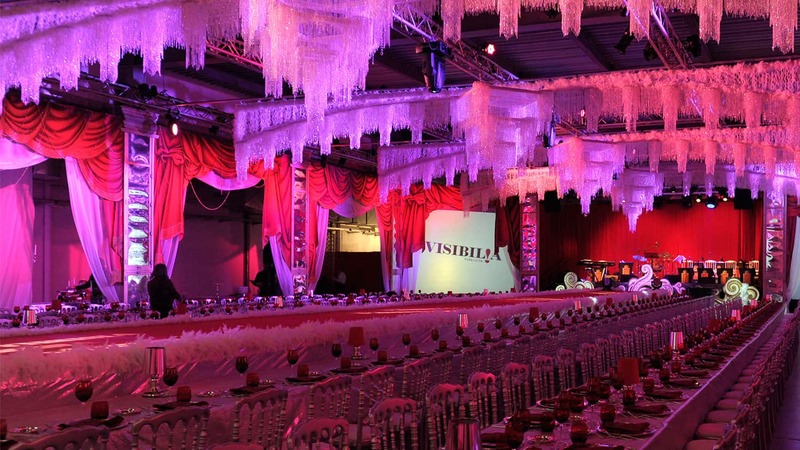 The venue was transformed with handpainted red swags, shiny beaded arches and chandeliers, and mirrored columns. 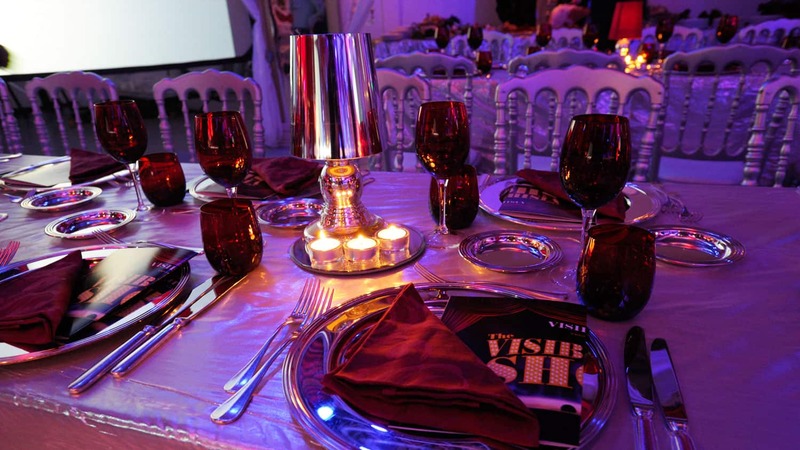 Silver chairs and table lamps added an extra shine to the tables, while the red tableware paired perfectly with the rest of the decoration. 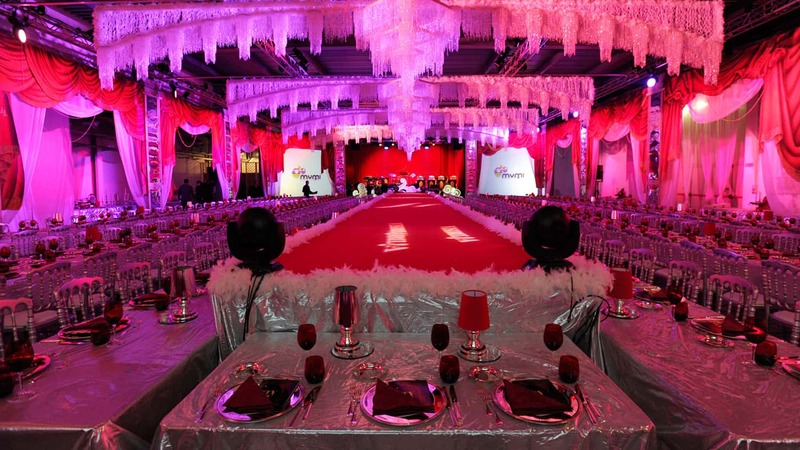 A feather lined runway and stage was installed for the dancers, which performed various ragtime numbers with music by a live band. Una cena aziendale con spettacolo per Visibilia Pubblicità. 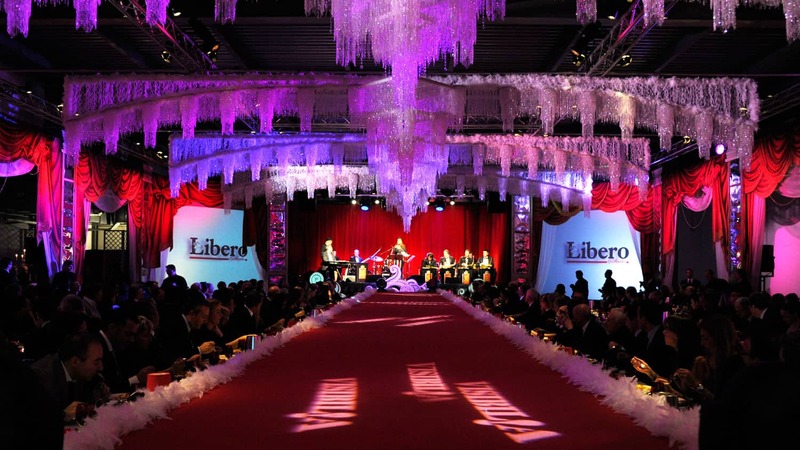 Cabaret, il tema della serata. Il locale trasformato con pannelli scenografati dipinti a mano come grandi sipari di teatro, archi e lampadari di cristallo e colonne a specchio. Sedie e lampade d’argento fanno brillare la mise en place, tocchi rubini sui tavoli richiamano la scenografia e la decorazione della sala. Una lunga passerella adornata di piume fa da palcoscenico allo spettacolo accompagnato da musica dal vivo.